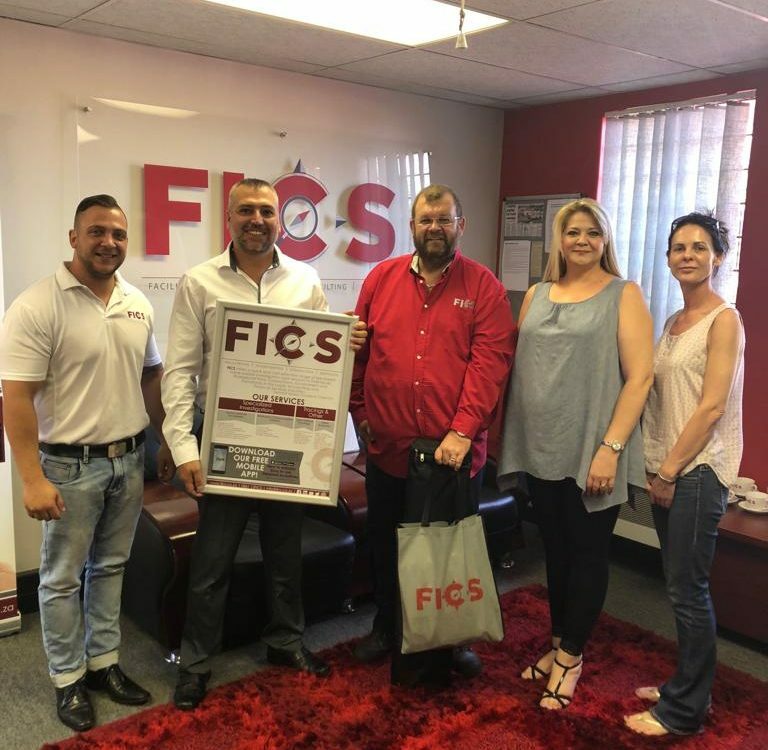 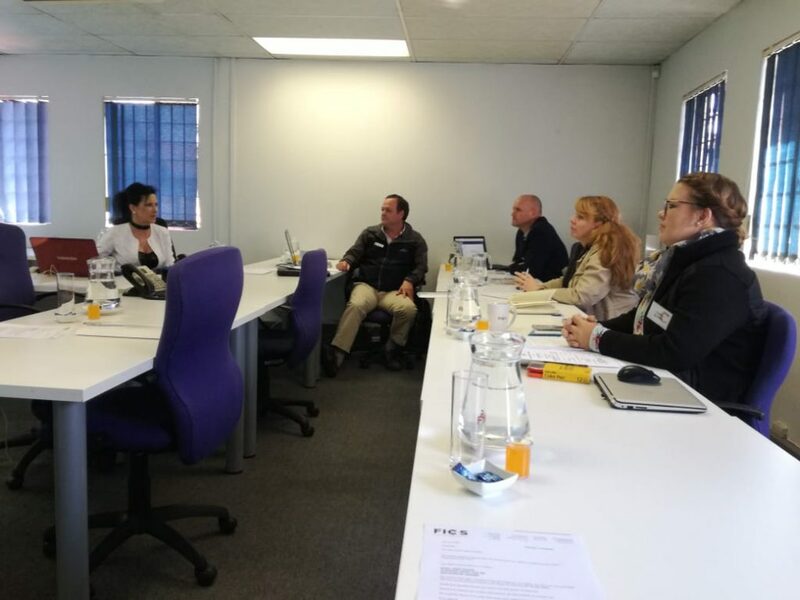 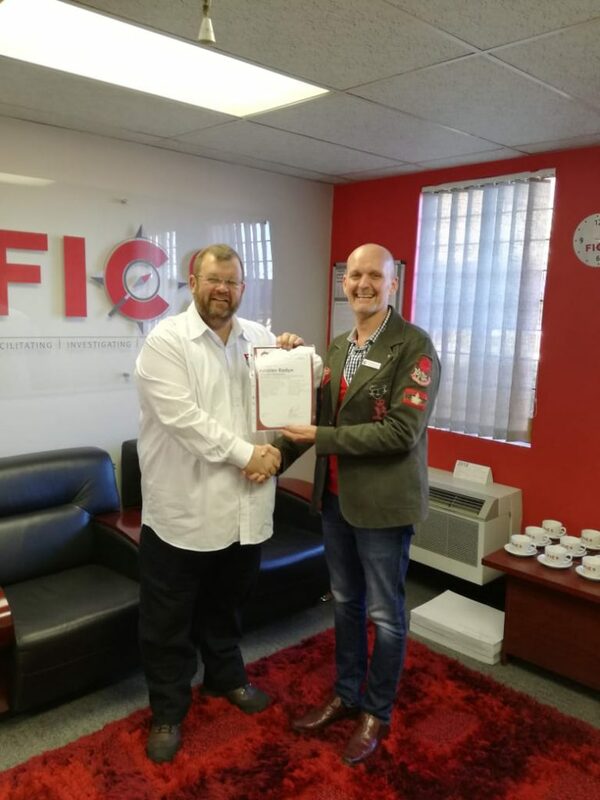 FICS facilitators trained people from two newly bought Franchises from 2 to 6 July at the FICS Training Facility in Centurion. 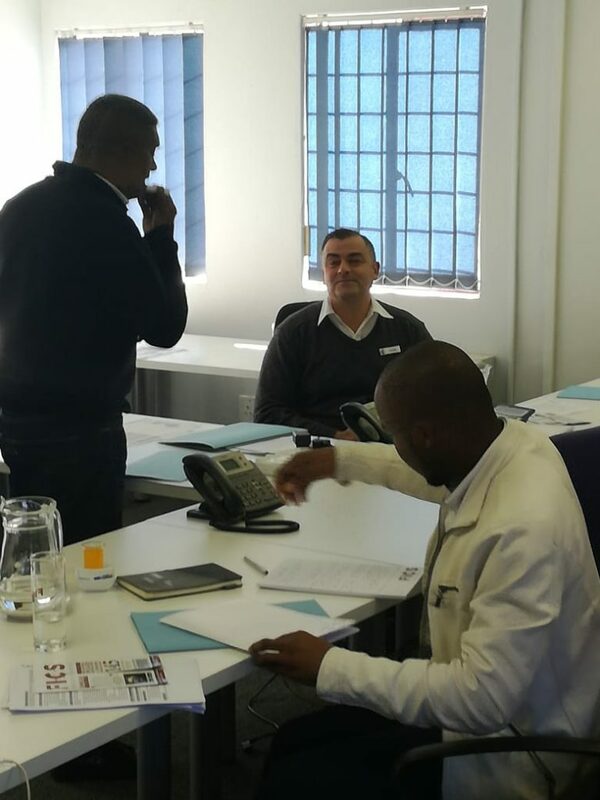 Franchise Owners from Nkomazi and Tshwane East attended the theoretical and functional training. 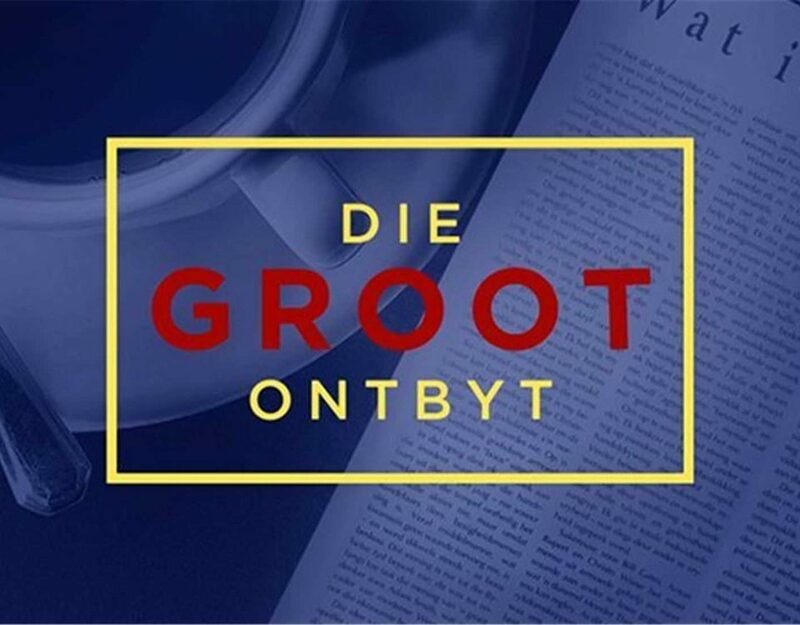 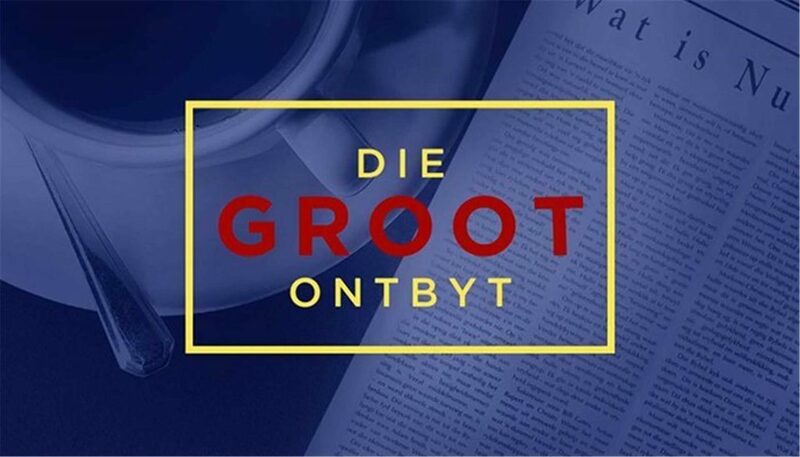 Paulette van der Merwe and Charlé du Preez (just back from a 2-year stint in the USA) represented the Nkomazi area while Wessel and Andries Radyn (two brothers) represented the new Tshwane East Owners. 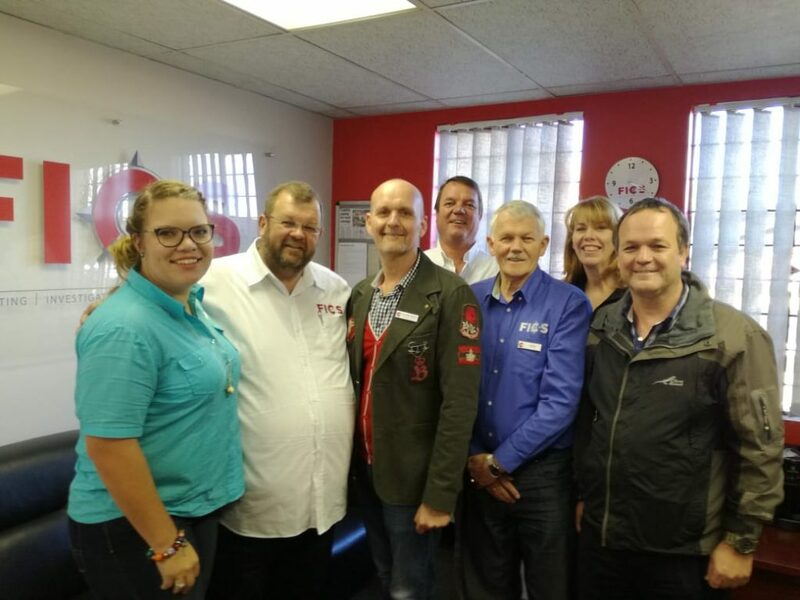 The Van der Merwes already own the Mbombela Franchise and the logical step for them was to acquire the adjacent area, Nkomazi. 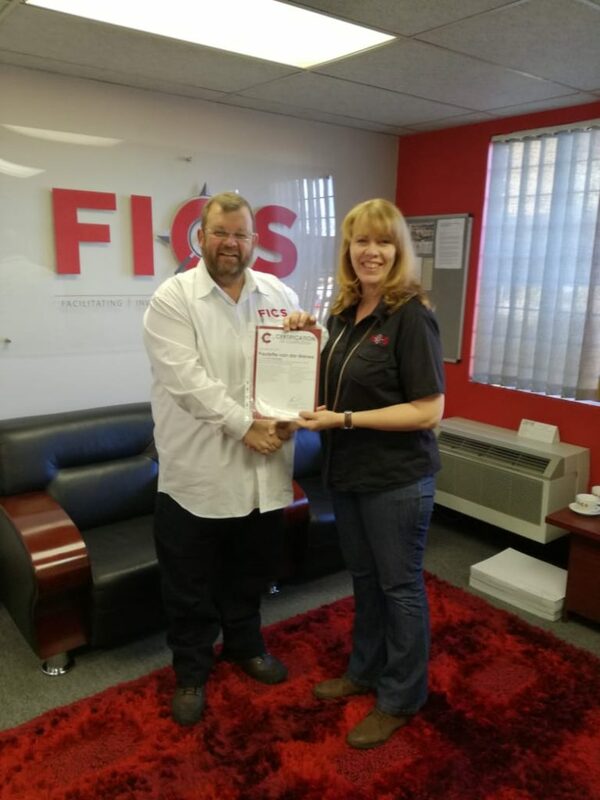 With the experiences gained from owning a FICS Franchise already, Paulette added a lot of value during the training week regarding pitfalls, challenges and best-practices in managing a FICS Franchise. 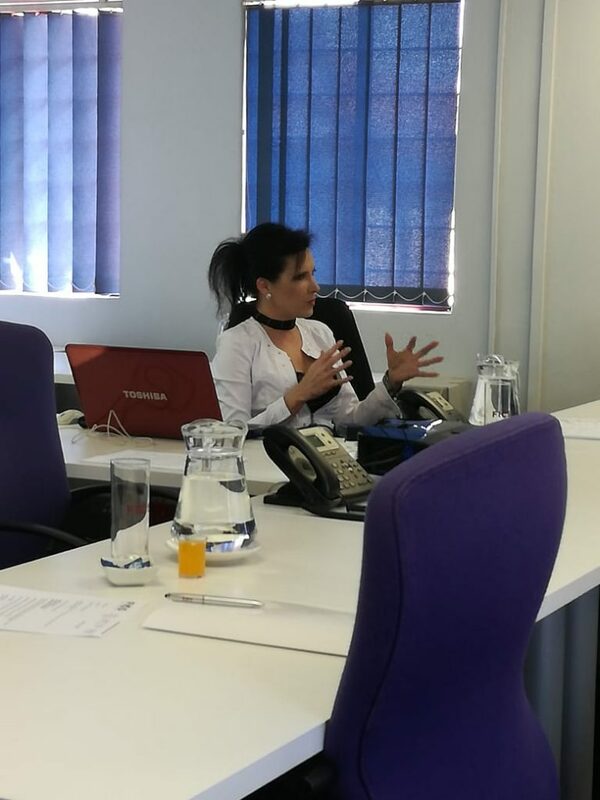 Charlé with her exposure to cutting edge technology in the USA brought youthful ‘outside the box’ perspectives into the classroom. 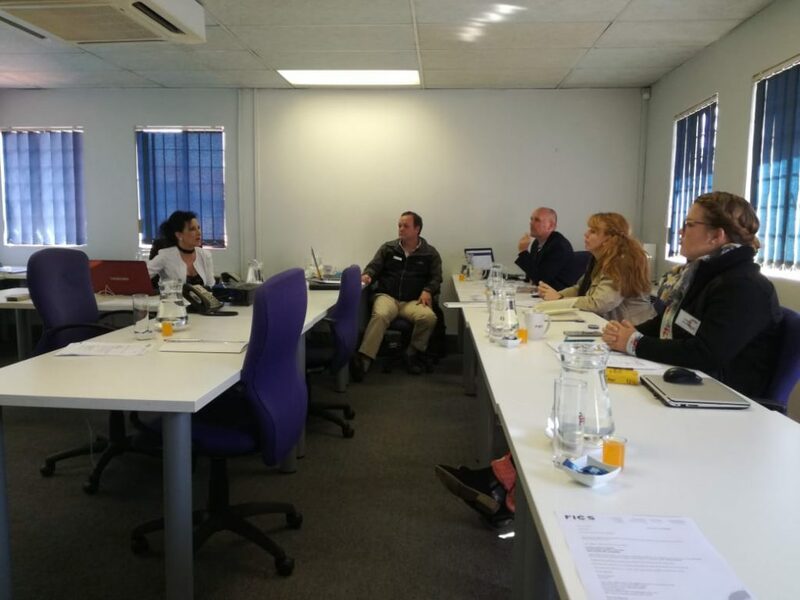 Wessel is an ex-Colonel in the SAPS and gave valuable insights into investigation practicalities in the field. 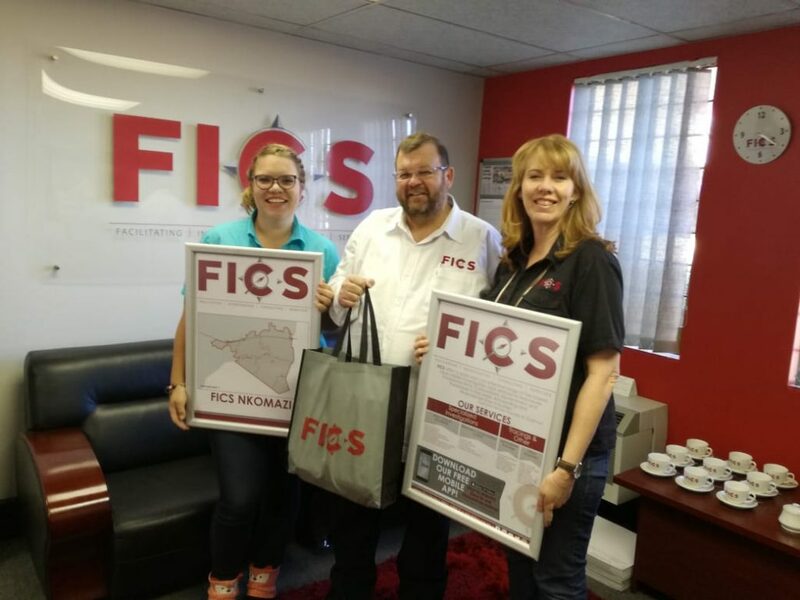 Andries, the detailed system man, helped all to focus on the refinement and optimising of systems FICS works with. 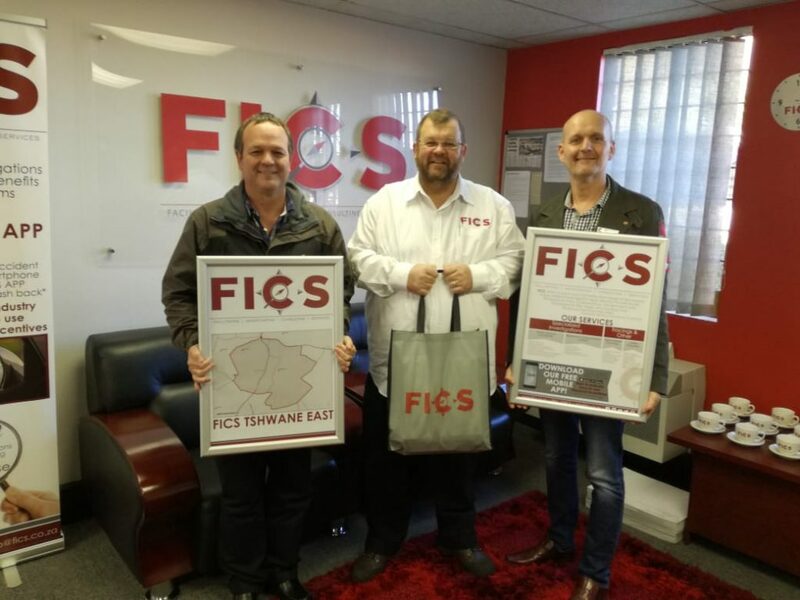 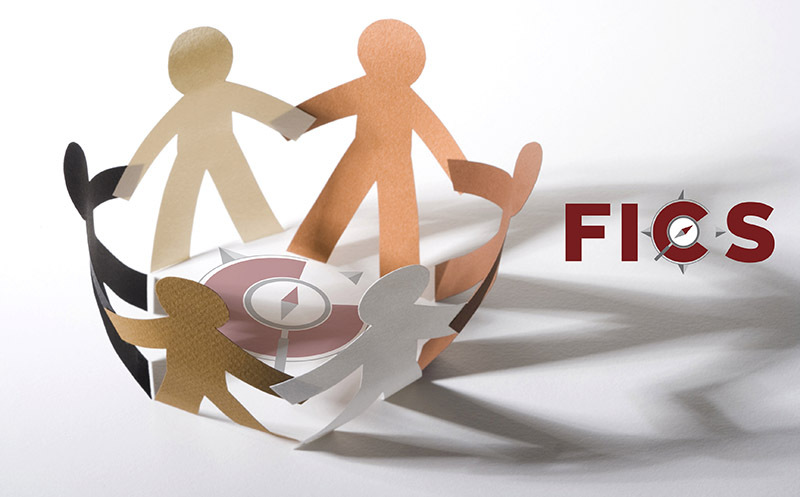 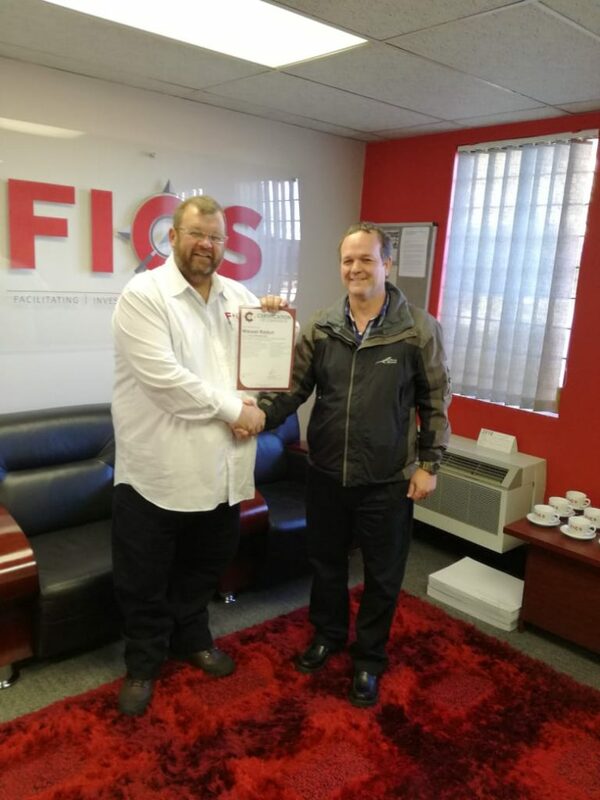 The highly experienced FICS Managers facilitated their respective speciality fields and ensured lively discussions, practical applications and accurate calculations. 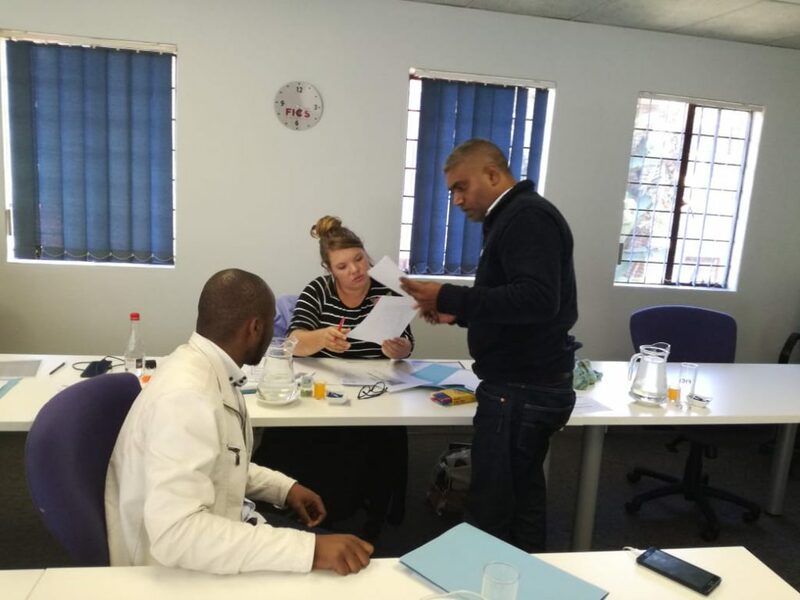 This was not a quiet group by any means and all contributed to the lively interactive learning experience. 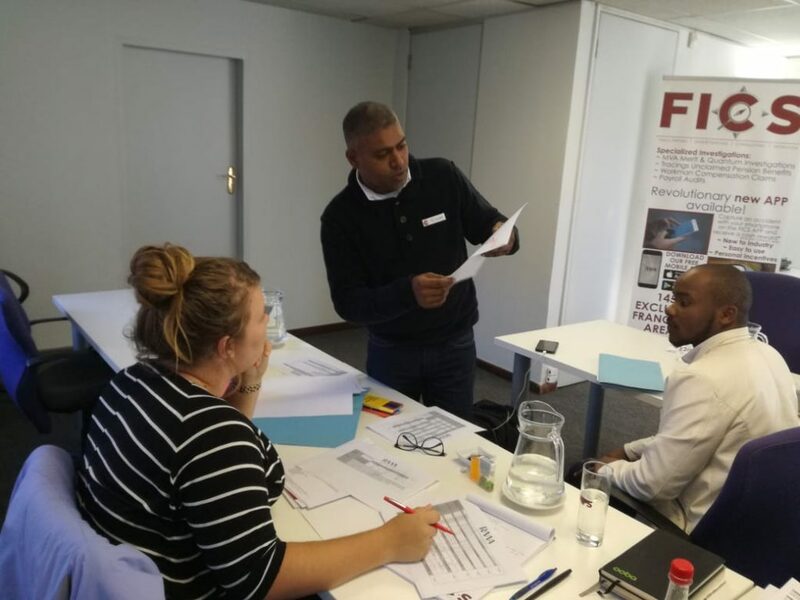 Roger Maisela from Ekurhuleni West and Pieter Olivier from Nkomazi Franchise areas also attended the investigative portions of the FICS training during the week. 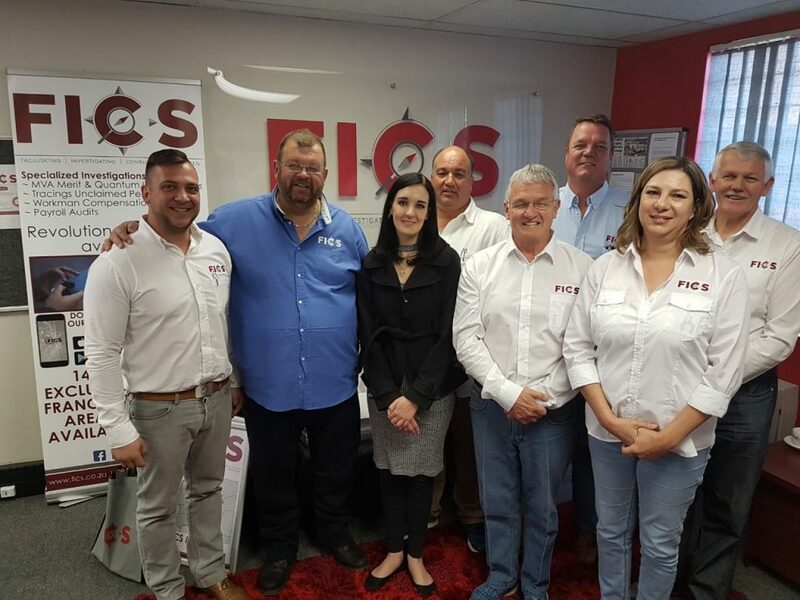 This group of Franchisees are now ell equipped and capacitated to deliver on executing FICS services in the respective Franchise areas. 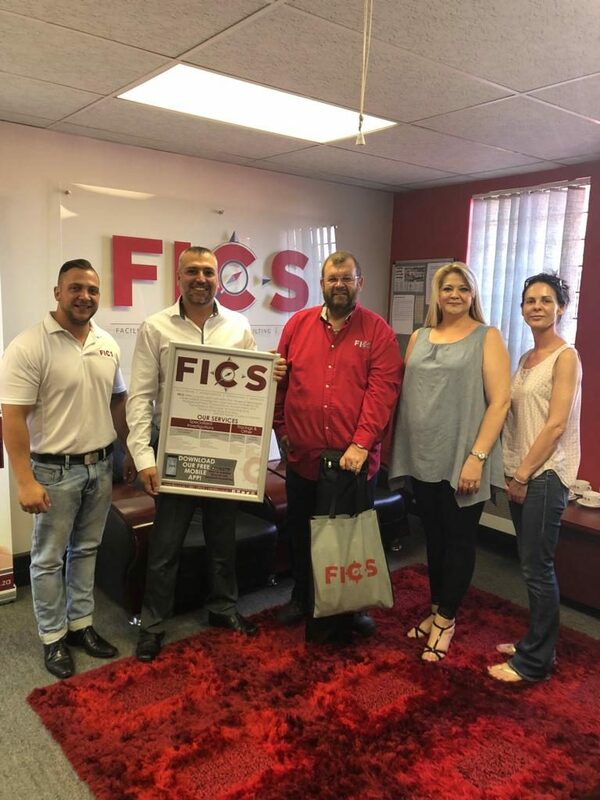 Experiential learning was the order of the day during the week of training and all learned from one another while growing into the ‘FICS family’.